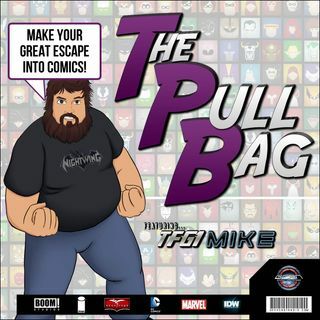 In Episode 334 of The Pull Bag Mike and Ryan go back to the beginning! We are discussing AMAZING FANTASY #15, which was the 1st Appearance of Spider-Man! Stan Lee and Steve Ditko started it all right here! Mike is reading this for the very first time, and even though it's a "remastered" version... It still counts! We also talk about Spider-Man #1 from 1963. As always Make Your Great Escape Into Comics!! !